we would have died of fear and terror. 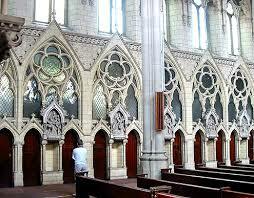 relatively few people go to Mass and Confession these days. three children. Mary certainly gave it to them as a warning to all people. Oh my Jesus, forgive us our sins. Save us from the fires of Hell. Lord, look upon me with eyes of mercy. May Your healing Spirit rest upon me. It is through Your power that I was created. Since You created me from nothing, You can certainly recreate me. Fill me with the healing power of Your Spirit. May Your life-giving powers flow into every cell of my body and into the depths of my soul. Mend what is broken. Cast our anything that should not be within me. Rebuild my brokenness. Restore my strength for service in Your Kingdom. Touch my soul with Your compassion for others. Touch my heart with Your courage and infinite love for all . Touch my mind with Your wisdom, that my mouth may always proclaim Your praise. Teach me to reach out to You in my need,and help me to lead others to You by my example. Most loving heart of Jesus, bring me health in body and spirit that I may serve You with all my strength. St. John Vianney, Please Pray for Us! "O Almighty Eternal God! Look upon the Face of Your Son and for love of Him, Who is the Eternal High Priest, have pity on your priests. Remember, O most Compassionate God, that they are but weak and frail human beings. Stir up in them the grace of their vocation which is in them by the imposition of the Bishop's hands. Keep them close to You, lest the enemy prevail against them, so that they may never do anything in the slightest degree unworthy of their sublime vocation. O Jesus! I pray for Your faithful and fervent priests; for Your unfaithful and tepid priests; for Your priests laboring at home or abroad in distant mission fields; for Your tempted priests; for the lonely and desolate priests; for Your young priests; for Your dying priests; for the souls of Your priests in Purgatory. But above all, I commend to you, Fr. ______ ( a special or favorite or needy priest)___and all the priests dearest to me, the priest who baptized me, the priests who have absolved me from my sins, the priests at whose Masses I have assisted and who have offered me Your Body and Blood in Holy Communion, the priests who have taught and instructed me or helped and encouraged me and the priests to whom I am indebted in any other way. Father Gabriel Amorth, Chief Exorcist of the Vatican writes: One day a colleague of mine heard the devil say during an exorcism, "Every Hail Mary is like a blow on my head. If Christians knew how powerful the Rosary was, it would be my end." The secret that makes this prayer so effective is that the Rosary is both prayer and meditation. It is addressed to the Father, to the Blessed Virgin, and to the Holy Trinity, and is a meditation centered on Christ. I write in addition to the above: Please enunciate each word of the Rosary clearly and distinctly. Do not trample on the heels of the words of anyone with your words. Do not speak over the leader if you are following or the respondent if you are leading the Rosary. Remember that they also are having a conversation with Mary Our Mother and it is not polite to speak when someone else is speaking. In the case of the public Rosary there are only two people speaking: the Leader and the respondents. Each is speaking to the Blessed Mother and listening carefully to her response within their hearts as they meditate on the scene before them in their consideration of the mystery being spoken of and interpreted and translated into their lives. Spread this powerful prayer of exorcism, the Rosary, which contains the Our Father, the Perfect Prayer, prayed five times in the recitation of each set of the Rosary's Mysteries, backed up by the powerful prayers of Our Mother who prays with us as we pray 53 Hail Mary's. The Eternal Father described to a group of us, through a Visionary Friend of mine, what happens when we pray the Rosary, saying, "When you pray Holy Mary Mother of God, pray for us sinners now....., the Blessed Mother comes instantly to your side to pray with you. And she does not come alone. She brings angels with her. And not just one or two for she is the Queen of Angels, so choirs of angels come with her. And she and Jesus are joined at the heart and cannot be separated so she brings Jesus with her. And Jesus cannot be separated from the Trinity so He brings the Father and the Holy Spirit with Him. And where the Holy Trinity is, all of creation is, and you are surrounded by such beauty and light as you cannot imagine in this life. Your Mother comes as Our Lady of Grace with her hands outstretched. Rays of light emit from her hands piercing your body, healing you and filling you with graces. This is your inheritance which was poured out from the heart of Jesus on the Cross, when the centurion pierced His Heart with the spear, into the only pure vessel ready to receive such graces at that time, Your Mother Mary. Now as you pray the Rosary, or even just recite one Hail Mary, you receive your portion of these graces. He also said at this time, "Anyone who goes to Mary and prays the Rosary cannot be touched by Satan. "Is it any wonder that anyone who prays the Rosary from the heart is so blessed and protected and powerful in their prayers for others? Father, I ask You to bless my friends, relatives and those that I care deeply for, who are reading this right now. Show them a new revelation of your love and power. Holy Spirit, I ask You to minister to their spirit at this very moment. Where there is pain, give them your peace and mercy. Where there is self-doubt, release a renewed confidence through your grace. Where there is need, I ask you to fulfill their needs. Bless their homes, families, finances, their goings and their comings. Our Lady of Sorrows is remembered for her great woes at the foot of the cross. Her amazing love for her son was brought to fruition in the suffering for Him that she had to endure. In this beautiful example, we have learned that our sorrows have meaning. They do not stop in our hearts and leave us to anguish forever. Instead, they rise up as Jesus did at His resurrection, mingle with God's love, and eventually perform amazing feats for good and holiness. We can either come before God showing him our broken hearts and cursing Him, or we can come before God and place those same broken hearts at His feet and ask for His grace and love in return. Thank you Mary for your amazing example, and thank you God for your amazing mercy! Thank you for the summer vacations we enjoyed that are now ending, and thank you for the goodness and strength of mind and heart that came from them. And finally, bless all those who have sorrows, and let them know there's a place for them too.